Shopping in Montalivet | Buy online or take a walk to the village shops and local market. Over 200 stands in the summer. Tradition, fresh products from the region. DO NOT MISS. The great number and diversity of the Montalivet Market stalls means than everyone can find what they are looking for; Oysters and Medoc wine are always very popular. 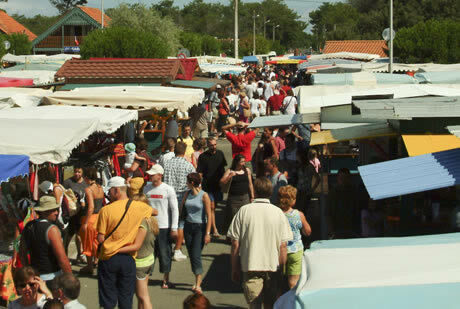 Montalivet market has become the Medoc market that no-one wants to miss.